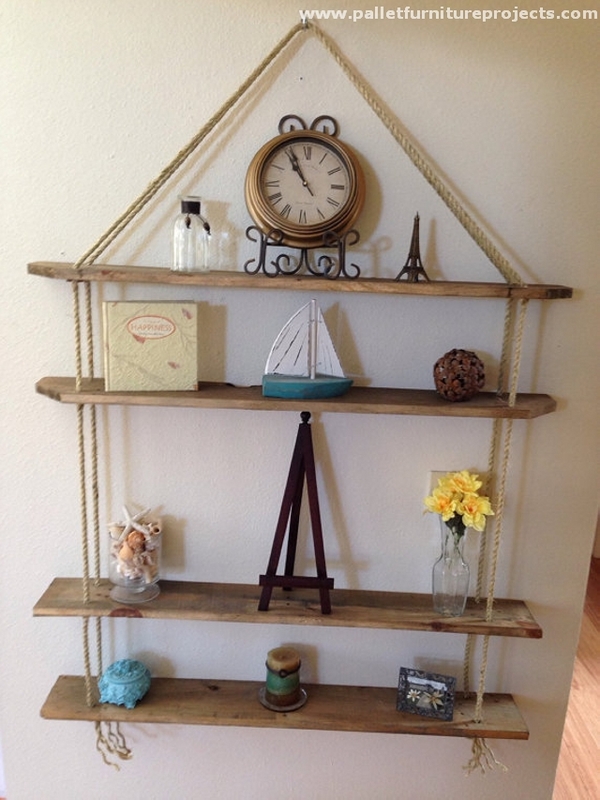 Wooden shelves have become so much trendy now days. 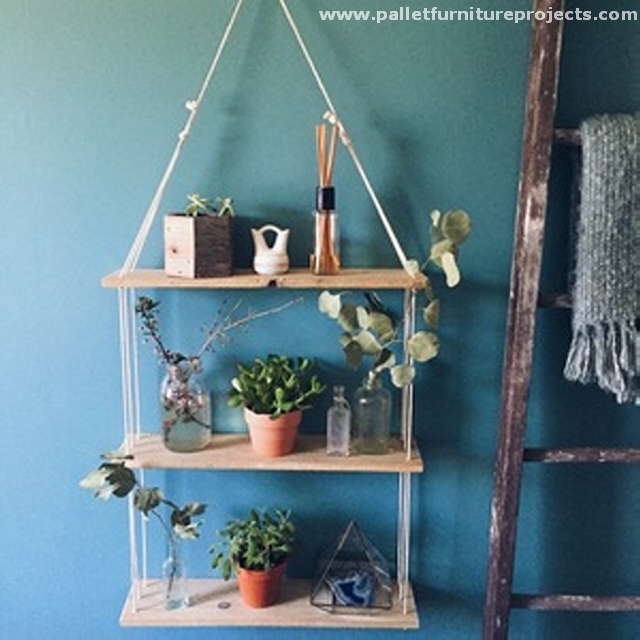 There was a time when we used to see concrete shelves in different houses, but as the time kept passing these wooden shelves captured the scene. 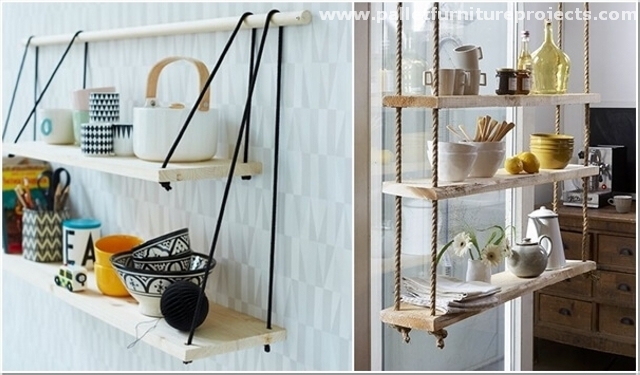 These wooden shelves are used as multi purposed wooden objects, they provide you with ample storage space, and due to the charm of wood, they can also be considered as the decorative addition to your room interior. 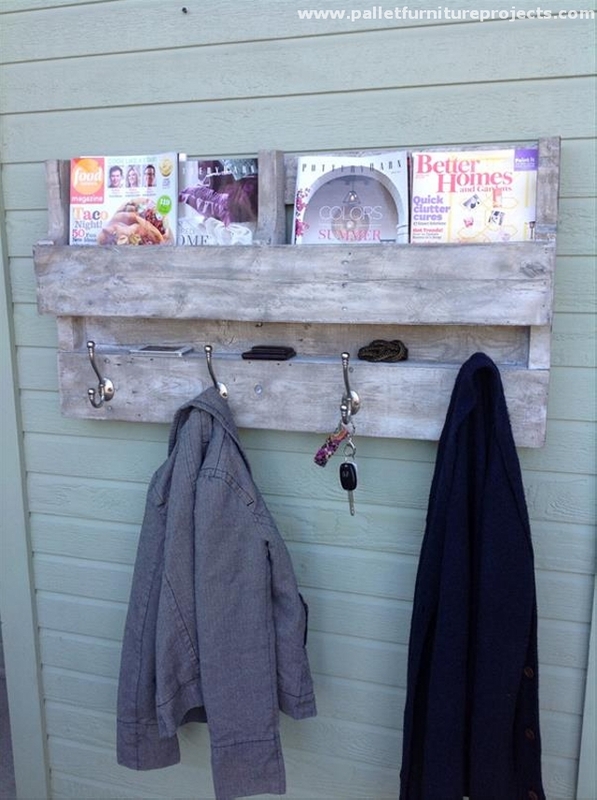 So recycling a pallet wood shelve has always been a pleasure for us, this time we are going the recycle the pallet wood hanging shelves, this would be a bit extra treat. 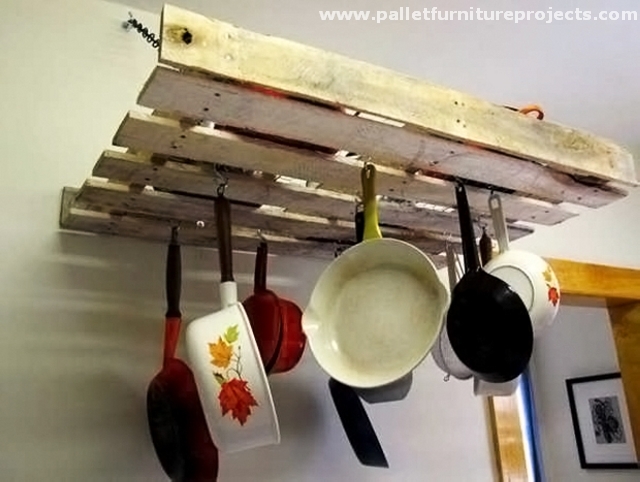 The very first pallet wood shelf idea here is a bit unique, as we can see that not much pallet planks are used in recycling this pallet hanging shelf. 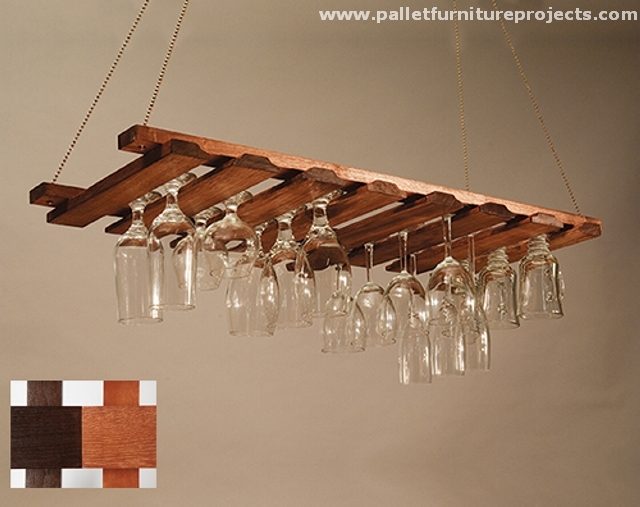 This is made using iron pipes along with the wooden slabs, this can be used inside the room for multiple purposes. 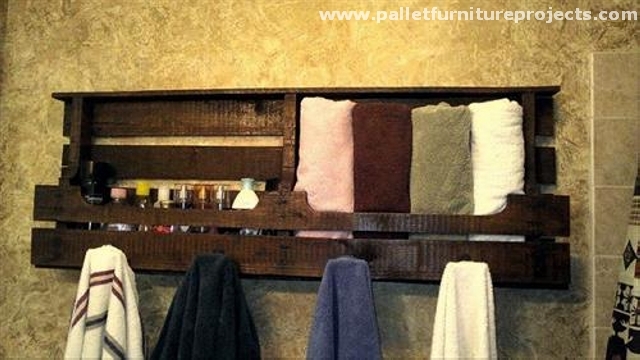 This is just about bringing in more ease and comfort by using the shipping pallet planks. 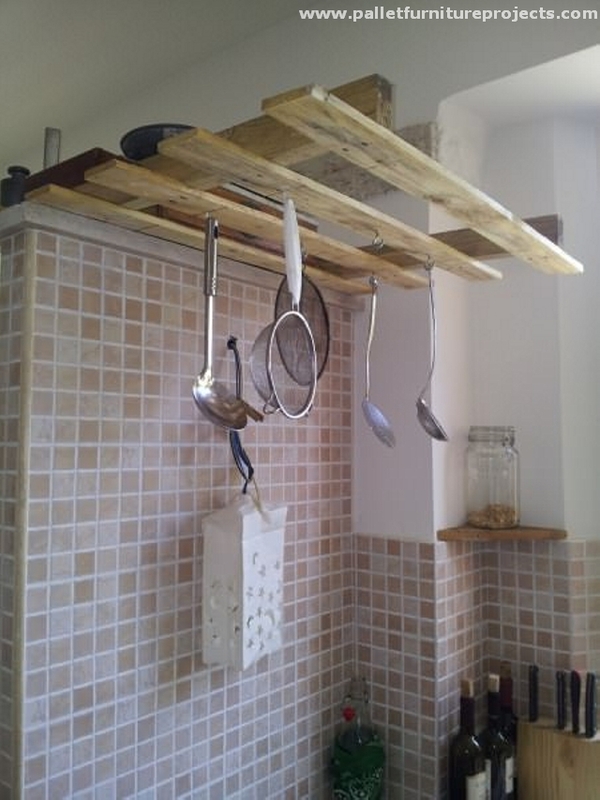 You can recycle this sort of hanging shelve when you consider your kitchen space to be insufficient for your kitchen accessories, this would be a perfect hanging shelf for different utensils. Now this one is not actually hanging, but this is fixed along the wall. 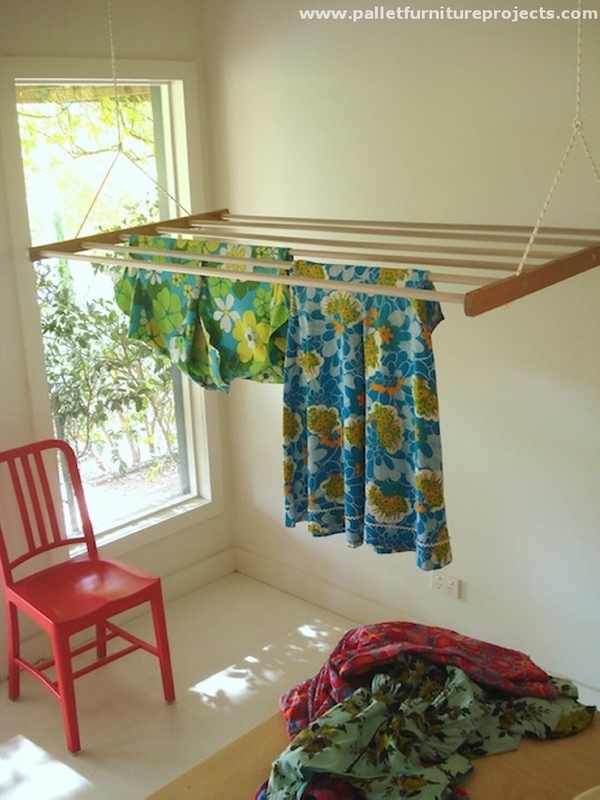 This is designed in such a manner that the racks can be used for placing many accessories like books and novels, plus the metallic hooks on the lower portion can be used for hanging coats, sweaters, or may be your car keys. Kids are always messy, they simply don’t like discipline. You are the one who has to introduce them with the discipline and order in the life. 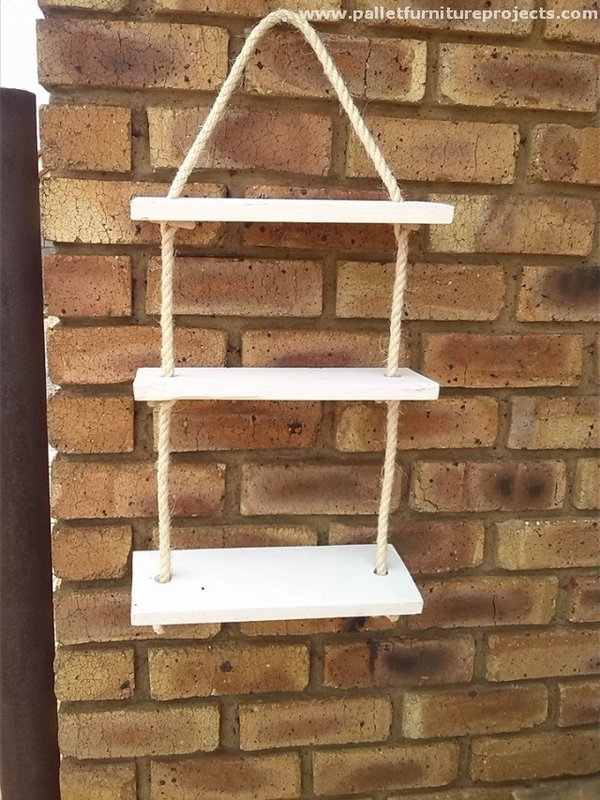 And this lesson can best be taught to them with this pallet wood recycled hanging shelf for their toys. 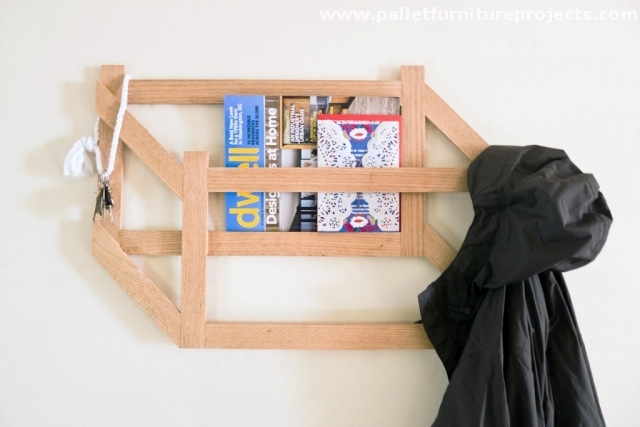 This is the blessing of the shipping pallets that allow us to go for such crazy wooden projects where we just don’t need to worry about the cost of wood. We just have to think about a certain project and all the supplies are made possible with the same shipping pallets. Wine glasses that are especially designed for wine and beer, you need some special treatment for them as well. 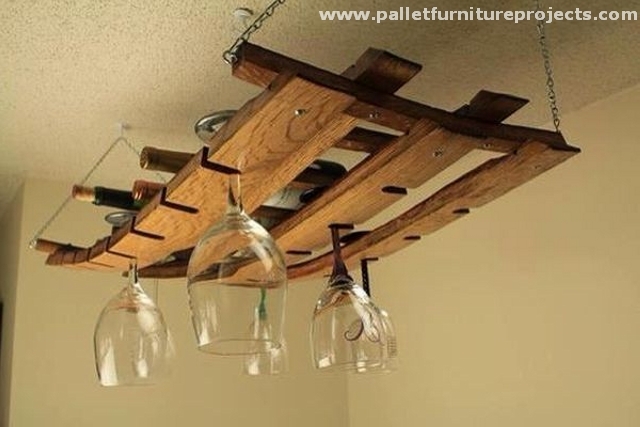 I mean they can’t simply be placed along with other regular crockery, better make this sort of pallet wood hanging shelf for your wine glasses to create a perfect atmosphere inside the house for wine time. 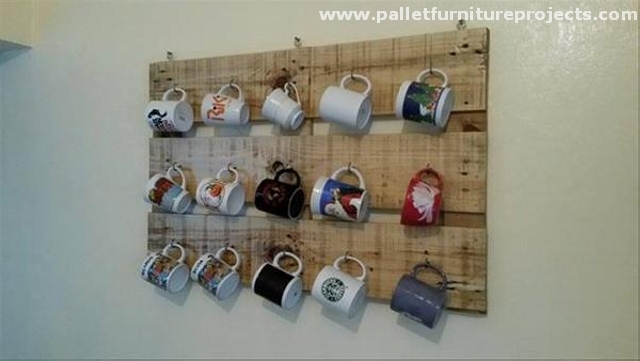 This is again a simple shipping pallet repurposed wall shelf, carrying a number of metallic hooks that can be used for hanging a number of cups and mugs. 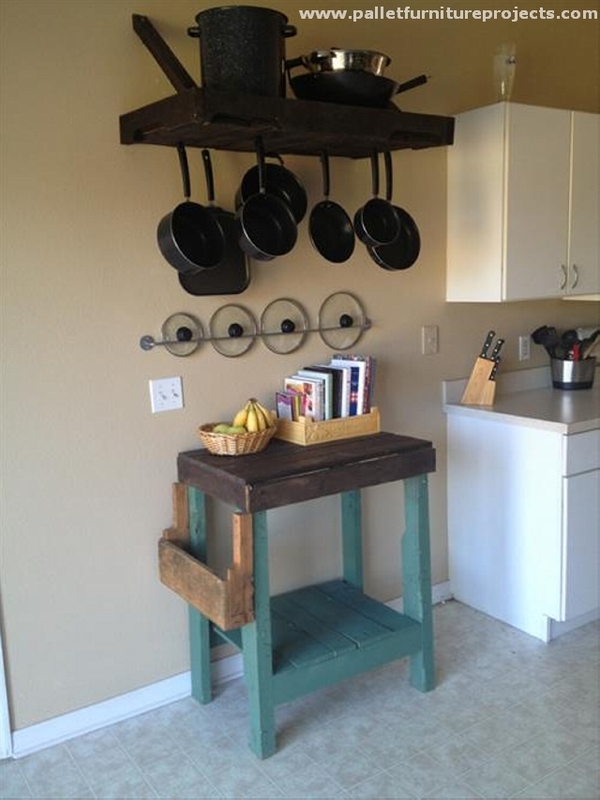 This would give them an arranged look, and a lot of space of kitchen is also saved by this wooden arrangement. While the last one is a complete package of beauty, design, fashion and elegance. 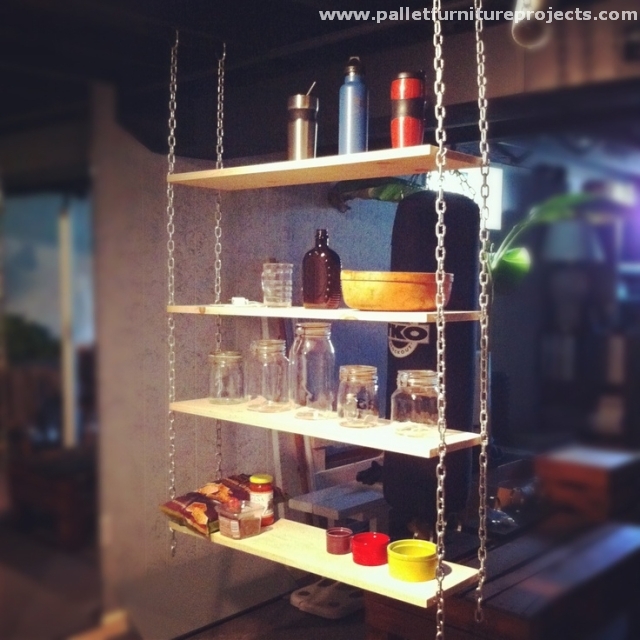 This hanging pallet wood wall shelf made using the thick rope is more like a decoration piece hanging on the wall. 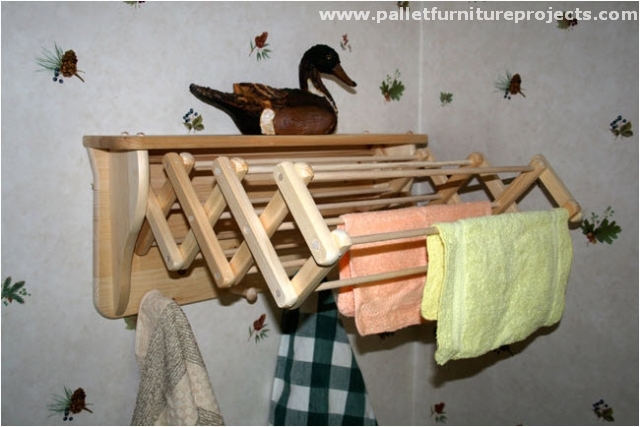 The sleek and slim wooden planks can be used to display several decoration pieces as well.